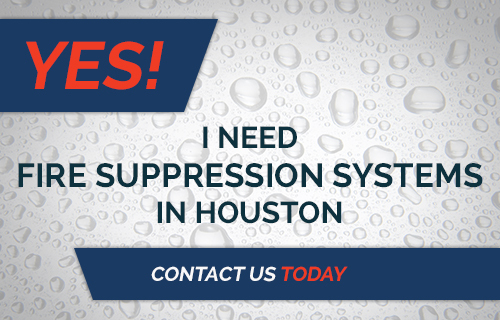 Fire System Houston: Can You Say Yes To These 4 Points About Yours? Is Your Fire System Inadequate, Or Will It Keep You Safe? Be grateful that you live in the 21st century, where we have the infrastructure, engineering capability, and scientific knowledge to build fire protection systems into our buildings. Given the fact that we spend most of our lives indoors, it’s a good thing we’re not still living back in the days when a building could catch fire and burn to the ground in minutes. Fire protection systems are indispensable to modern construction, and we trust them to work as expected. However, it’s one thing to just assume that your fire system will work, and it’s quite another thing to have reasonable confidence that your system will keep you safe. Rather than keeping your fingers crossed and hoping for the best, ask yourself whether all the following aspects are true about your fire system. 1. Your fire system’s capacity is designed to match your building. Every building is different. Just because a given fire system will work in one facility, doesn’t mean that it will work across the board. There are many variables that your fire system has to take into account, from the building’s size to the material it’s constructed from to the configuration of rooms and how that affects the airflow. For new construction, the implementation of your fire protection system should start in the building design process, and you should have 3-D computer-aided design models of how every component of your fire system will fit. For existing buildings, especially older ones, you can start with an inspection and consultation and then make a decision about whether you need to increase your fire system’s capacity. 2. Your fire system is installed correctly. Just because you can see sprinkler heads attached to the wall does not mean that your building actually has a correctly installed fire protection system, as the owners of this apartment complex in Albuquerque found out. While this is an extreme example (their sprinkler heads were merely glued to the wall, not attached to a water source), it’s important that you choose a reputable company for your fire system’s installation. One advantage of working with MLN Company is that we are also experts in HVAC and plumbing installation, ensuring that all the components will coordinate tightly and work together seamlessly. 3. Your fire system is up to code. It’s easy to feel like code compliance is just one more headache, but building codes are instituted for a reason, especially when it comes to fire protection codes that can save lives. Do you know if your fire protection system is up to code? 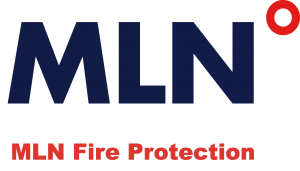 It’s easy to find out with a quick visit from MLN Fire Protection. 4. 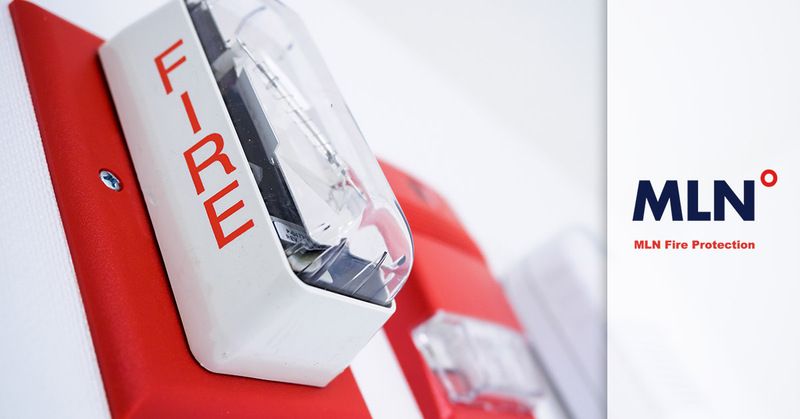 Your fire system is regularly maintained and tested. If you don’t perform regular maintenance and testing on your fire protection system, you can be at risk of assuming that everything is in working order when it’s not. Things deteriorate. Parts break. Corrosion happens. Sensors fail. There is a reason why your fire protection equipment has a regular maintenance schedule, and it’s important to follow it. Don’t leave it to chance or to wishful thinking whether your fire protection system will protect you. Schedule your consultation with MLN Fire today.